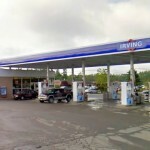 If you need to fuel up in Lincoln, Maine; there is no better place than the Circle K Irving Store and Gas on West Broadway. With Gas, Diesel and Kerosene at low prices, you can’t go wrong. Step inside for snacks, soda, beer, cigarettes and more. Clean restrooms and many conveniences for the weary traveler can be found at Circle K Irving in Lincoln. Many snacks are available including chips, candy sandwiches and hot dogs. Great service, low prices and convenience combine to make the Circle K your one-stop shopping place. Stop in today! Do you need to find a Circle K convenience store or, maybe, you want to know what time Circle K in Lincoln, Maine opens or closes? The maps and contact information provided here in our website will assist you in locating convenient Circle K stores near you. Get street address details, phone numbers, other pertinent information on the Circle K near you.